The campy “Blind Auditions” of The Voice came to a close last night with less than stellar performances. It seems the producers of The Voice decided to toss in the worst of the bunch during the final audition round and mix them up with Kate Bush’s love children. It was the worst audition round of the third season and we hope it’s not a sign of things to come. Read below to find out more about the full performance review of last night. Nathalie Hernandez was the first contestant of the night with her rendition of “White Horse” by Taylor Swift. This 15-year-old missed her prom and her brother’s graduation for The Voice auditions. Nathalie’s rendition was a direct cover of Swift’s song, with almost the exact same vocal inflections and phrasing. The crescendo of the song was marred with off-pitch vocals and quirky notes. 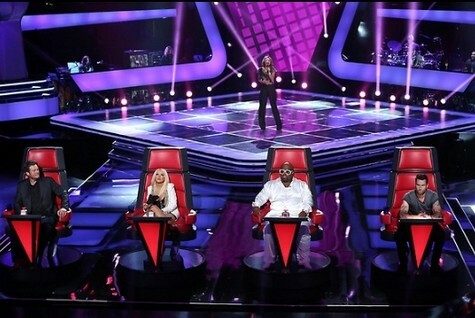 Blake Shelton, Christina Aguilera and Adam Levine turned their chairs around. Nathalie chose Christina as her mentor. Caitlin Michelle, a Katy Perry/Kelly Clarkson lookalike, did a rendition of “Cosmic Love” by Florence and the Machine. Florence Welch is able to pull off her own theatrical vocals with over-the-top beats and dreamy notes. If you’re not Florence and you attempt to mimic her vocals with theatricality, your performance will come over as bizarre and abnormal. This is what happened to Caitlin. Her vocals weren’t the worst we’ve ever seen, but she was so affected by Florence’s style, that she became this demonized version of the singer. A drama queen performance for sure! Blake and Adam turned their chairs around. Caitlin chose Adam in the end. Nicole Johnson, an 18-year-old Nashville native, did a rendition of “Mr. Know It All” by the power voiced Kelly Clarkson. No-one has ever been able to successfully pull of Clarkson – she has one of the best voices in the current music industry. Unfortunately, Nicole was also not able to pull off the power-pop vocals of Kelly Clarkson either. Her country rendition of the Clarkson hit was radio-friendly, but the vocals were so sorely lacking any real tone that Nicole’s “big note” was as thin as a plastic sheath. There is, however, a massive market for Nicole’s vocal style. Blake and Cee Lo Green turned their chairs around. She chose the country-styled Blake as her mentor. “Brass In Pocket” by the Pretenders was the spunky New Jersey native Chevonne’s choice of song. If a Chrissie Hynde classic is done by a contestant on a reality television show, they have to be able to break away from the outdated vocal gasping and the 80’s teenage movie soundtrack. Chevonne was unfortunately not able to break away from the structured and old-fashioned platform shoe stage hopping which made this song a gigantic hit. It was a bizarre, screechy and obsolete performance. 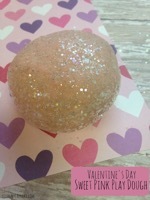 Instead of having been infused with nostalgia, Chevonne wallowed in a big pit of glitter and ripped jeans. Cee Lo and Blake turned their chairs around. Chevonne chose Cee Lo as her mentor. The 17-year-old Kayla Nevarez went to the stage with her rendition of “American Boy” by Estelle. Kayla was the first contestant of the bunch who really had something different to her voice. Her vocals were smooth, wide and dimly lit, like an empty ballroom during dusk. Her performance was without any effort, yet she was able to pull off the quirky falsetto vocals without any strain on her part. Adam, Cee Lo and Christina turned their chairs around and after a bit of an Adam/Christina debacle, Kayla chose Adam in the end. The 16-going-on-27 Cecilia Westbrook did a rendition of “A Thousand Years” by the emotionally charged Christina Perri. Cecilia’s rendition was sensitive and broken, like the most fragile of glass, moments before it shatters. Her vocals weren’t completely there, but she was able to reach for the pitch without much effort. There were some musical theatre inflections in her voice, but they were few and far between. Christina, Cee Lo and Blake turned around. Cecilia chose Christina after a standing ovation and became the last member of Christina’s team. Rudy Parris, the penultimate contestant of the night, did a velvet voiced rendition of “Every Breath You Take” by The Police. His vocals had strong country undertones and gently reverberated with rock inflections. His performance wasn’t the most original of the bunch, but Rudy was able to deliver his vocals with sincerity and class. Blake and Cee Lo turned around. Rudy chose Blake and became the last member of his team. The final contestant of the night, and the final contestant of the Blind Auditions, was the country/soul lovin’ Cody Belew with his rendition of “Hard To Handle” by The Black Crowes. We were amazed at Cody’s extremely controlled vocals and up-beat awesomeness, but Cody was slightly heavy-handed with his growly performance. Cee Lo turned around at the last second and saved Cody from walking away empty handed. Cody became the last member of Cee Lo’s team. Nathalie Hernandez paired up with Christina Aguilera, Caitlin Michele paired up with Adam Levine, Nicole Johnson paired up with Blake Shelton, Chevonne paired up with Cee Lo Green, Kayla Nevarez paired up with Adam Levine, Cecilia Westbrook paired up with Christina Aguilera, Rudy Parris paired up with Blake Shelton, Cody Belew paired up with Cee Lo Green. What did you think of the first phase of The Voice? Are you watching this season? Who do you predict as the front-runner? Let us know in the comments below and remember, stick to Celeb Dirty Laundry for live The Voice recaps, news and spoilers.